SUNNYVALE, Calif.—July 20, 2010—Real-Time Innovations (RTI), The Global Leader in DDS, today announced that European Southern Observatory (ESO) has selected RTI Data Distribution Service middleware for its Very Large Telescope (VLT). 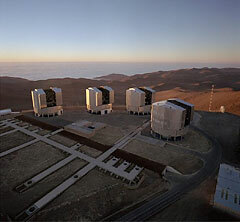 The VLT is the world's most advanced visible-light astronomical observatory. Major scientific contributions have been made using the VLT, including the first direct optical observation of a planet outside our solar system. Observatory advancements taking place today are partially due to ESO's pioneering work in the field of large-scale Adaptive Optics (AO). AO requires highly distributed and extremely accurate sensors, actuators and control systems that change the shape of the adaptive mirrors in the telescope. As a research facility continuously pushing the boundaries of adaptive optic science, ESO needed a communications infrastructure that facilitated its requirement to regularly update the AO control system in line with advances in AO science. RTI Data Distribution Service was selected as the most flexible, easy-to-use communication middleware that could also meet ESO's real-time requirements. The AO control system processes the enormous amount of data needed to calculate the inputs for more than one thousand actuators, which must precisely deform the instrument's mirrors in real time. The AO real-time communication fabric uses RTI Data Distribution Service for data concentration and analysis. RTI Data Distribution Service was also flexible enough to provide the support services needed for low-throughput applications such as event and log notifications over the same infrastructure. "We are very pleased with RTI. We needed a middleware solution that was modular and easy to understand, configure and optimize on the fly," said Enrico Fedrigo, Adaptive Optics Team Lead, ESO Adaptive Optics Group. "We intend to use RTI for additional VLT projects at ESO in the future." "We are excited that ESO is using RTI software for telescope technology," said Dr. Stan Schneider, CEO of RTI. "We are proud to be part of these scientific advancements in observatory development." RTI Data Distribution Service is a fully standards-compliant integration platform for real-time systems. It meets the demanding requirements of mission-critical applications, including low latency, high throughput and fault tolerance. The solution can run in ad hoc and autonomous environments, as well as over unreliable networks such as wireless and satellite links. It significantly reduces integration time and cost by allowing individual subsystems to be added or upgraded without requiring changes to existing software. RTI Data Distribution Service complies with the Object Management Group (OMG) Data Distribution Service for Real-Time Systems (DDS) specification, the leading standard for real-time application integration. RTI also natively supports the Real-Time Publish-Subscribe (RTPS) wire protocol for peer-to-peer interoperability with other RTPS-compliant DDS implementations. 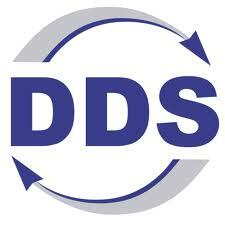 RTI is the world's leading supplier of DDS-related software and services. RTI, Real-Time Innovations, The Real-Time Middleware Company and RTI Data Distribution Service are registered trademarks or trademarks of Real-Time Innovations, Inc. All other trademarks used in this document are the property of their respective owners.